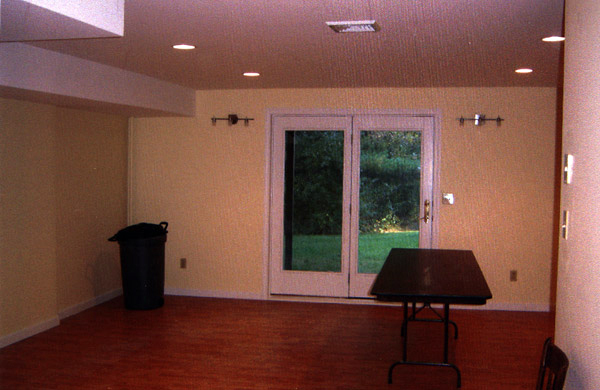 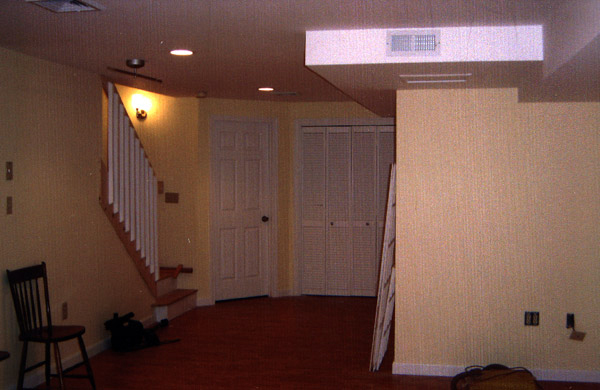 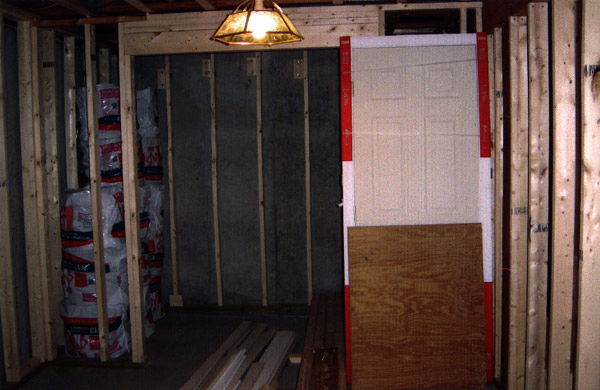 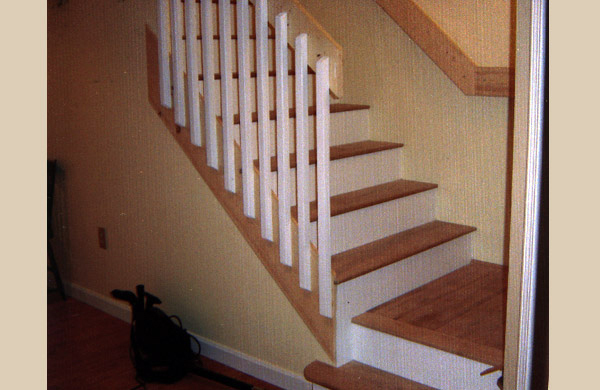 Few improvements will greatly increase the value of your home as much as a finished basement can. 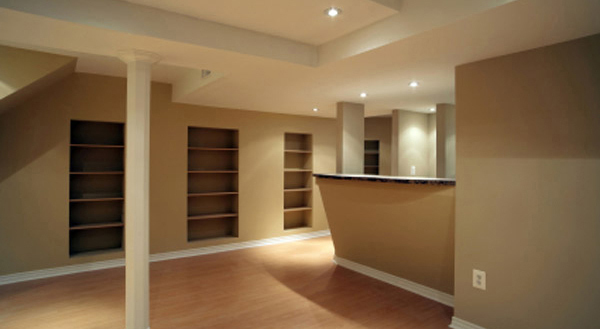 Turn your unused, unfinished basement into elegant living space with George Sebesta Renovations. 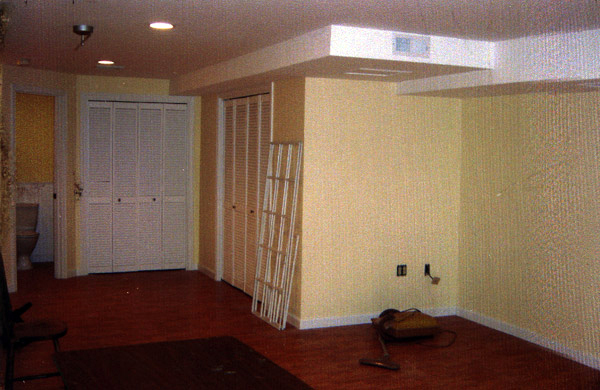 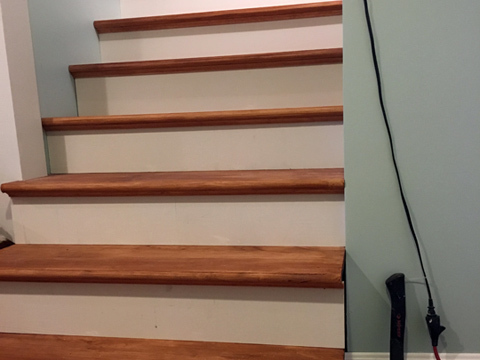 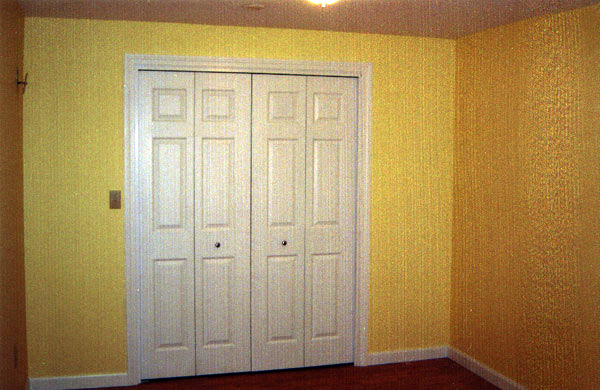 We offer a full basement finishing or refinishing service that can transform the look and feel of your home's lower level interior. 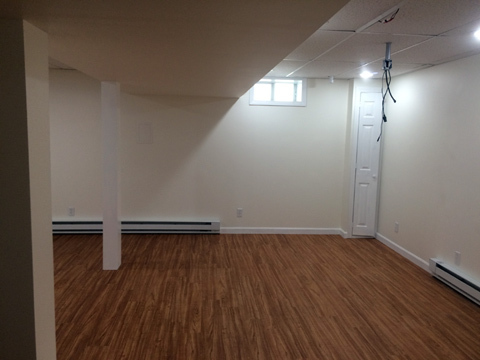 Initially, George Sebesta Renovations will help you assess the various features of your basement in order to incorporate your ideas into the basement remodeling plans. 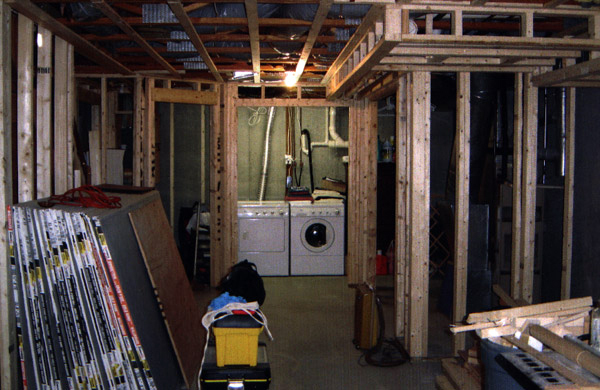 Our experienced home improvement contractors can remove any existing framework within your basement to create room for your remodeling project. 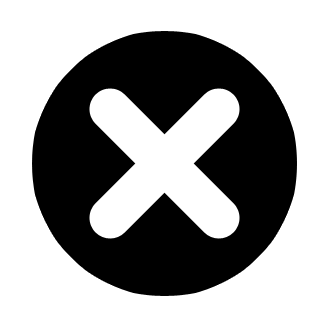 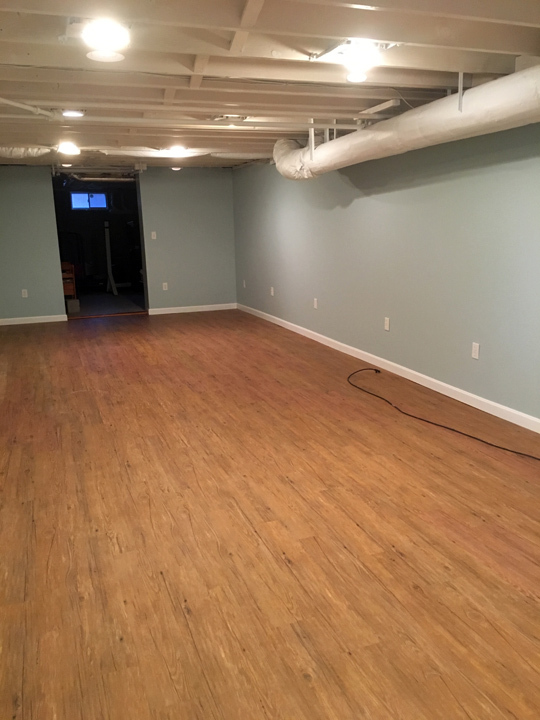 Additionally, we can remove mold & mildew or any debris ruined by water damage prior to any basement remodeling or new construction in the cellar. 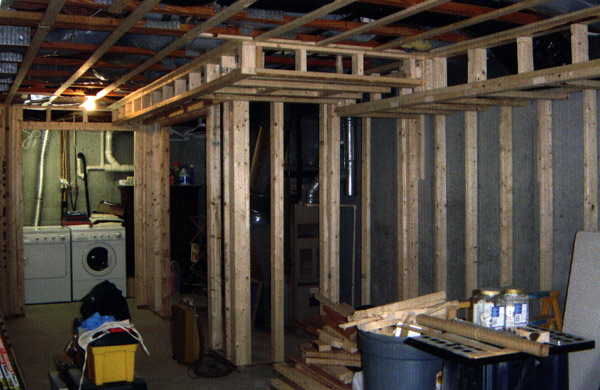 After the preparation work is finished, our home improvement contractors will begin construction of your new basement. 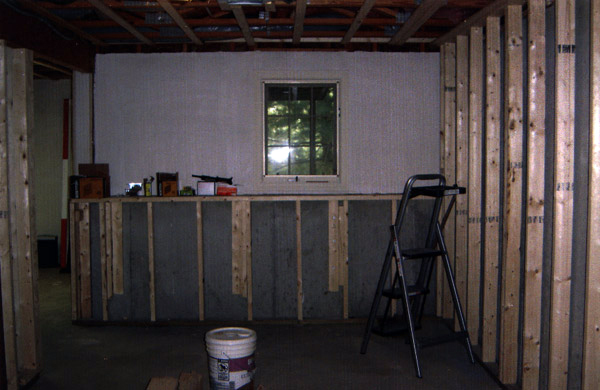 First, the entire space is moisture proofed and a sub floor is installed. 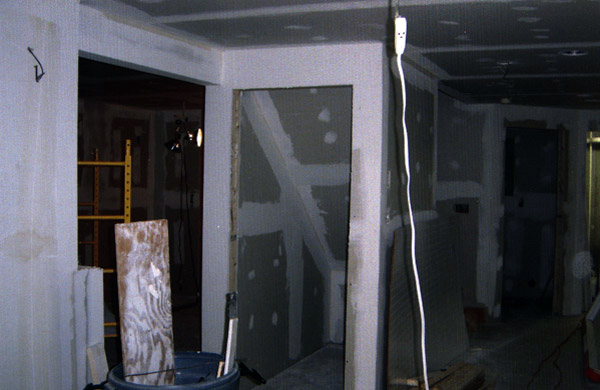 Next comes framing the new basement walls, corners, doors, & ceilings. 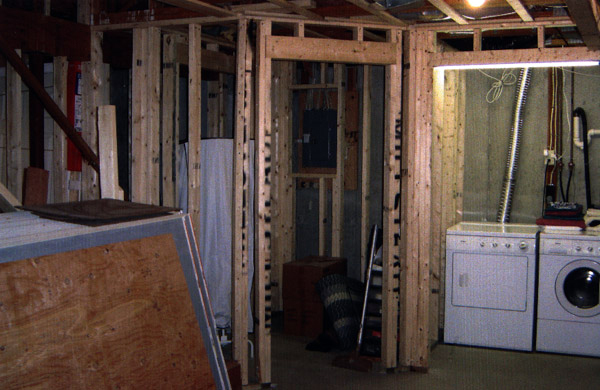 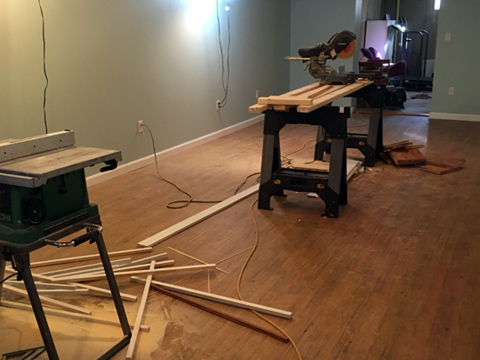 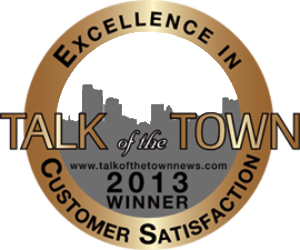 At this point in the renovation, any required electrical, plumbing, heating, and ventilation work is performed. 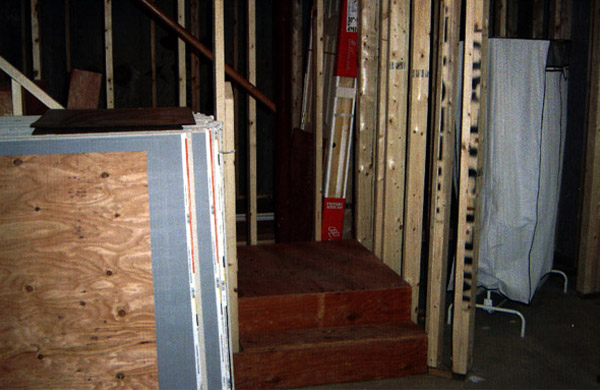 Once complete, the basement living area is insulated in order to maintain a controlled temperature environment. 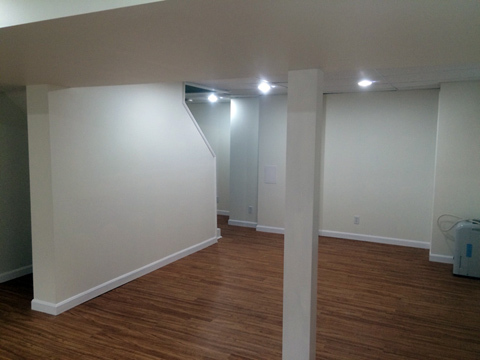 Finally, the basement flooring is installed and the walls are put into place and painted to your specifications. 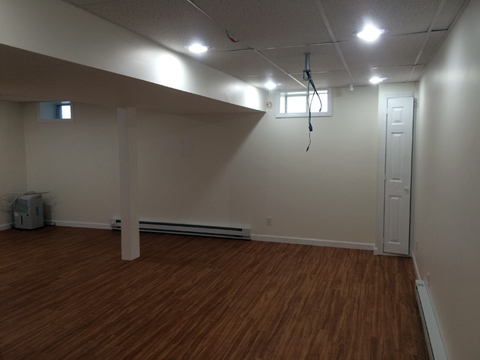 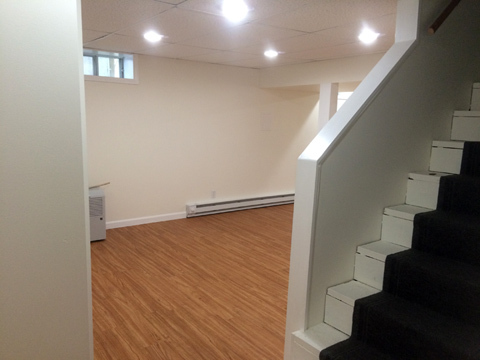 Once it is furnished and stylized, your new finished basement is ready to enjoy all year long. 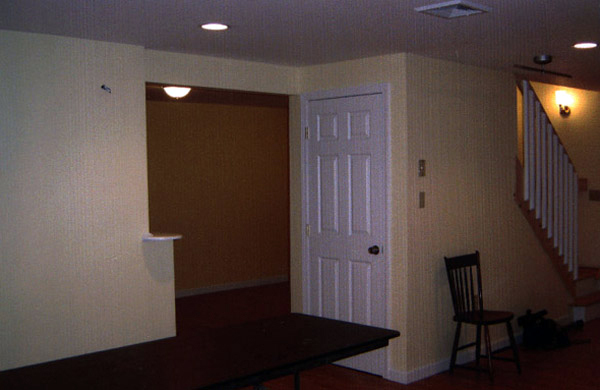 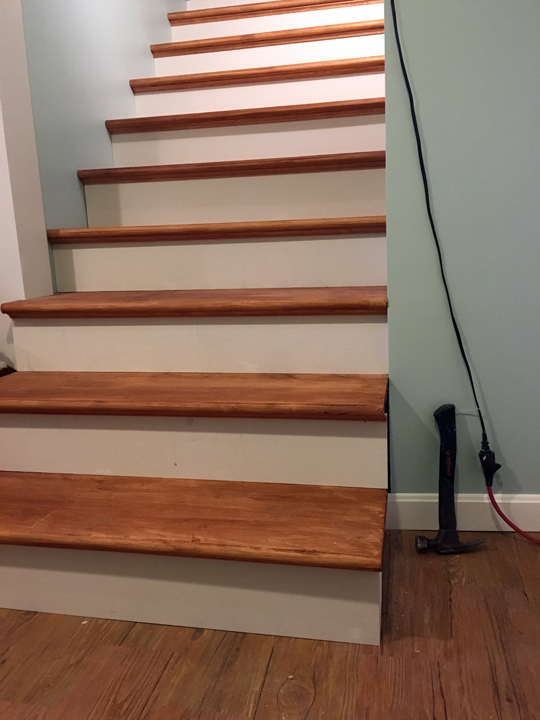 As always, George Sebesta Renovations guarantees your satisfaction with any work we perform within your southern New England home. 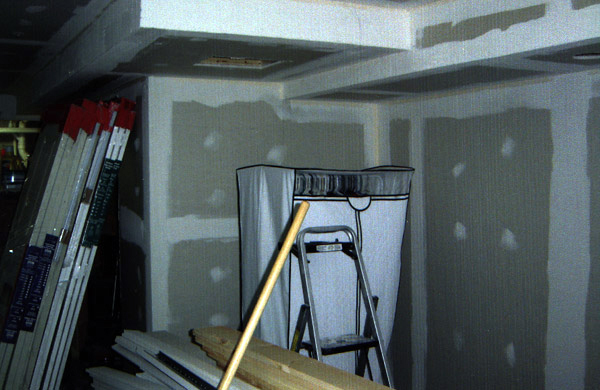 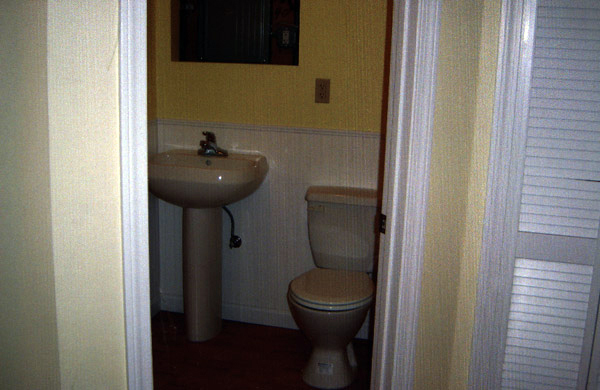 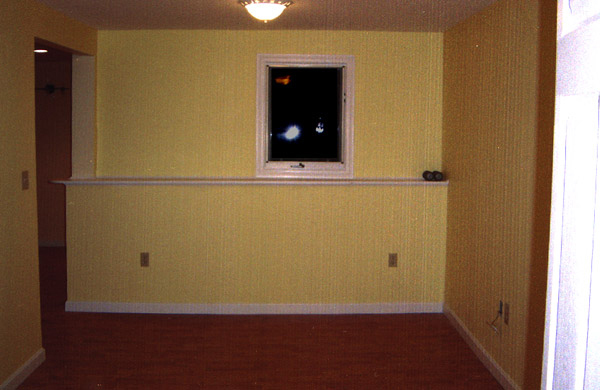 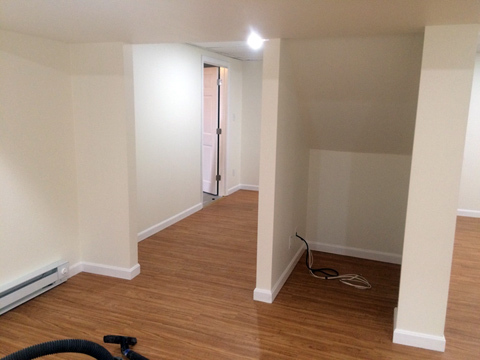 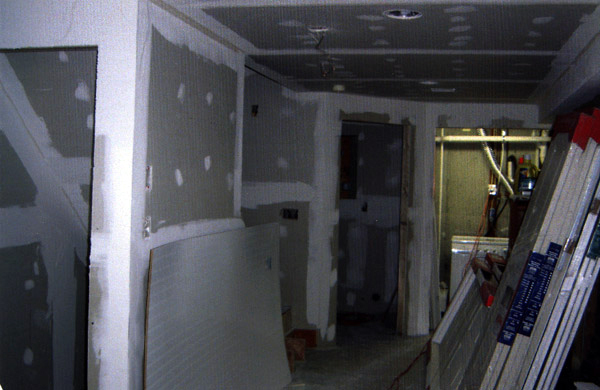 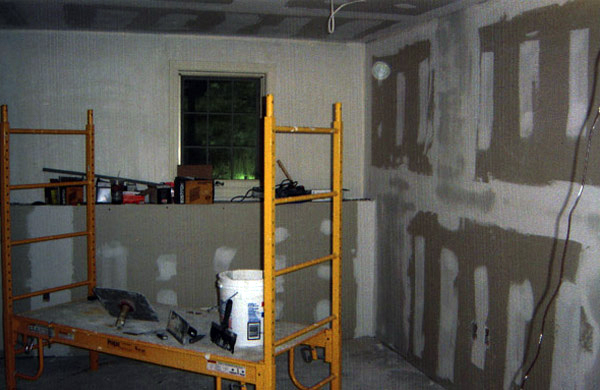 Below is a gallery of photos that our home renovation experts snapped during the various stages of basement finishing. 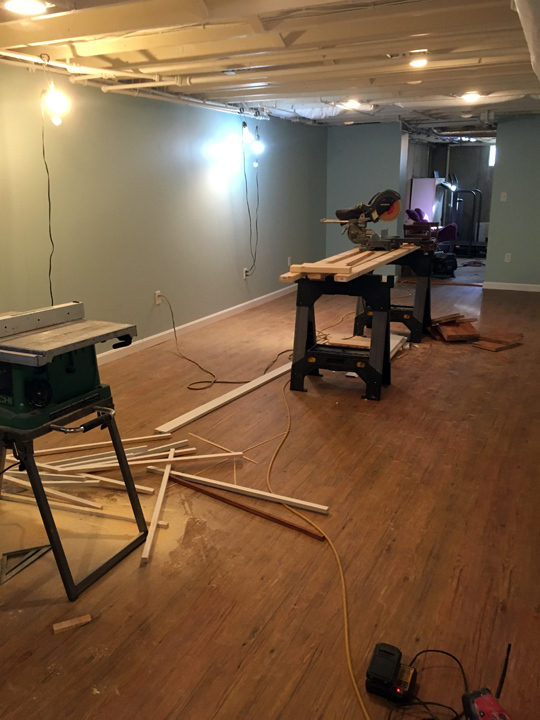 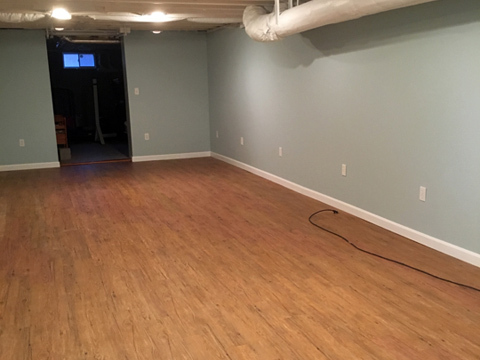 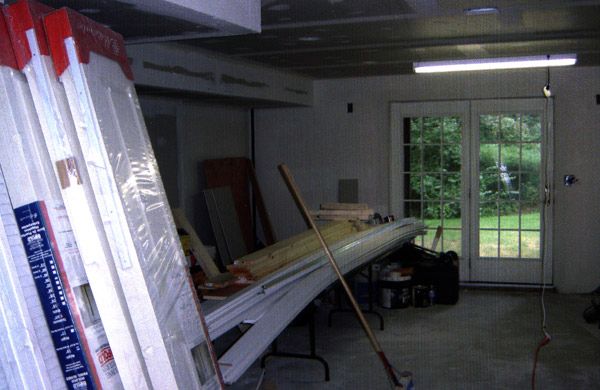 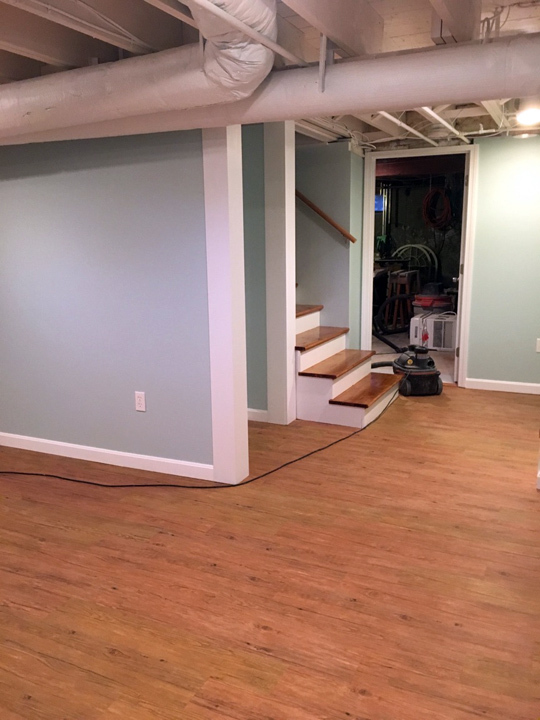 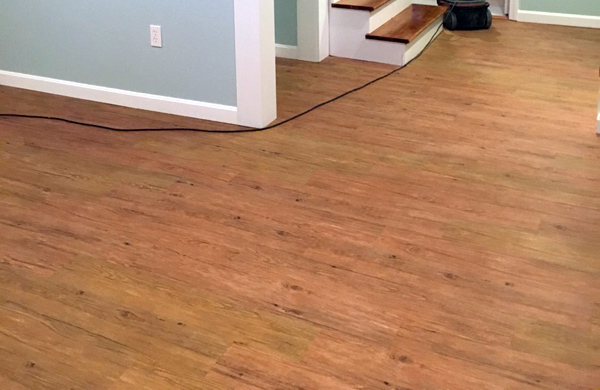 Presented in a "Before & After" format, this gallery will show you what George Sebesta Renovations can do to make your basement remodeling a reality.